"Measure Twice and Cut Once" won't help if the framing square you are using to draw your lines isn't precise. Woodpeckers has created a large-sized precision framing square, specifically designed for tight tolerance woodworking. If there's a FESTOOL you've been thinking of adding to your shop, there's no better time than RIGHT NOW. Festool has announced a general price increase that goes into effect on March 1, 2018 but there's still time to place your order with us and make your purchase at 2017 prices. Come meet Woodwright's Shop host Roy Underhill, as well as Thomas Lie-Nielsen, Founder and CEO of Lie-Nielsen Toolworks. They'll be our special guests during our 40th Anniversary Celebration in Atlanta on Saturday, April 28, 2018. Roy will be giving FREE traditional woodworking demos all day long. This beginner's class will jumpstart you on the skills needed to carve small 3-dimensional figurines. The instructor will guide you through a comprehensive, step-by-step focus for carving characters so you can successfully bring forth a figurine from a block of wood. Throughout the day you'll also pick up some tips on maintaining a honed edge on your tools. 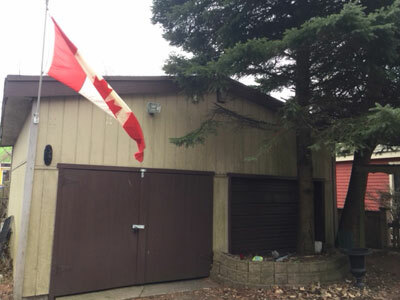 We're sharing Douglas Gillie's garage workshop located in Halifax, Nova Scotia, Canada. 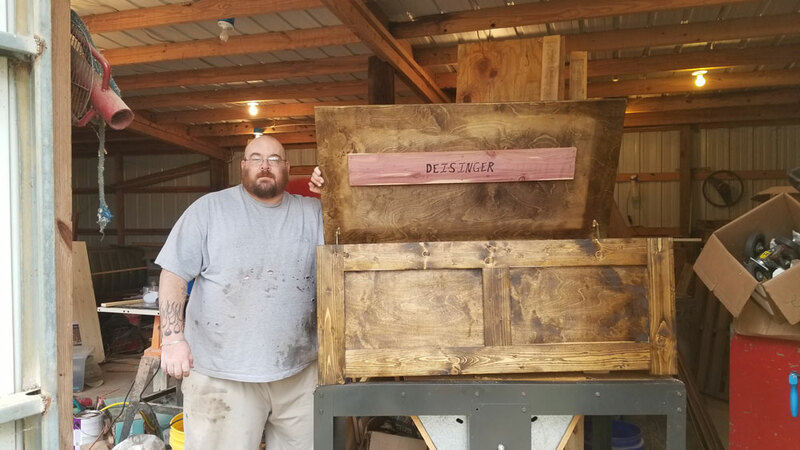 We're sharing several woodworking projects made by Phil Dail who got burnt out as an auto mechanic and switched to woodworking. 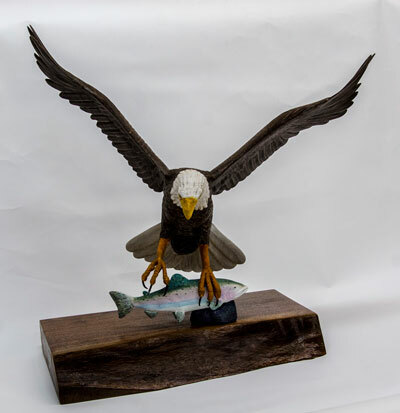 We're sharing an incredible eagle carving made by Robert Sellers, who first made a relief carving from a picture he took of migrating eagles by his home on the lake. Though I've got a twin-screw vise and a single vise positioned as a tail vise, I decided I also wanted a leg vise on my workbench. 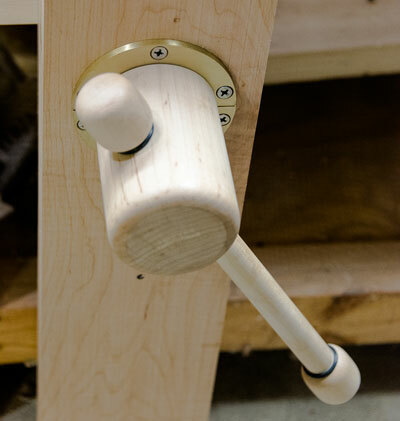 Because I'm planning to make a few wood-bodied planes myself, I decided to add a similar leg vise to my workbench by combining Benchcrafted's Glide Leg Vise with the Crisscross Hardware and the Lake Erie Toolworks Wood Screw. In this book, David Finck's careful, methodical discussion lays out everything you'll need to know and do to build and use your own wooden handplanes. Having built several wooden planes myself, I can state with confidence that any serious woodworker can follow Finck's lead and convert a block of wood - even a solid piece of firewood - into a handsome and well-functioning handplane with the help of this book. 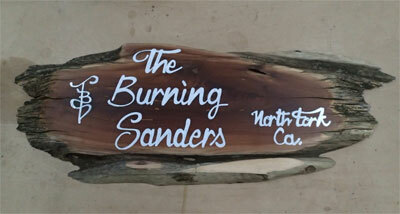 This is a fun little tale about two very different people who came to form a woodworking studio known as The Burning Sanders. Through the mutual appreciation of a little known "shrub" known as manzanita, two completely different individuals made it their goal to showcase this hidden gem in the form of sculptures and objects made entirely from manzanita wood. This month, Steve finishes up his barn build by adding carsiding to some of the walls. He also shares his review of the Festool HKC 55 EB Circular Saw and the FSK 420 Guide Rail. This month, Alan veers a little bit away from Finishing and discusses Clamping and the wide variety of clamps that are out there to help you with glue-ups and other clamping needs. This month, Jim shares shares how his Festool Sanders and Dust Extractor have made his foyer painting project a breeze. With the popularity of woodworking YouTube channels and a wide array of videos you can find on practically any woodworking subject, Jim Randolph asks "If you could choose, would the woodworking videos you watch have music, or no?" This month, we're sharing a safety tip left as a comment on our YouTube channel in response to our How to Fold/Coil a Bandsaw Blade video. Our new Winter 2018 woodworking tool catalog just went in the mail and should be arriving in mailboxes soon. Beginning with this issue, you can click on any product number in our online flip catalog to go straight to our web page for that item. I just received my order and wanted to give feedback. For the price, the Wood Slicer Bandsaw Blades are awesome! They exceeded my expectations. I also wanted to thank you for the prompt shipping to Hawai'i. We usually don't get the best service way out here. Mahalo nui, Tevita, a new repeat customer. The Rikon 14" Deluxe Bandsaw 10-326 is a great choice for all kinds of woodworkers. In this new video, Justin Moon takes a closer look at the features of the 10-326 and reviews setup and use of the bandsaw. Check out our other product tour videos and demos on our YouTube Channel. FREE Ground Shipping on FESTOOL machines! Thinking of getting a SawStop for your workshop?